Thom Yorke releases a new solo album via BitTorrent "paygate"
Thom Yorke has found another unconventional way to get his music out to the masses — this time via BitTorrent. 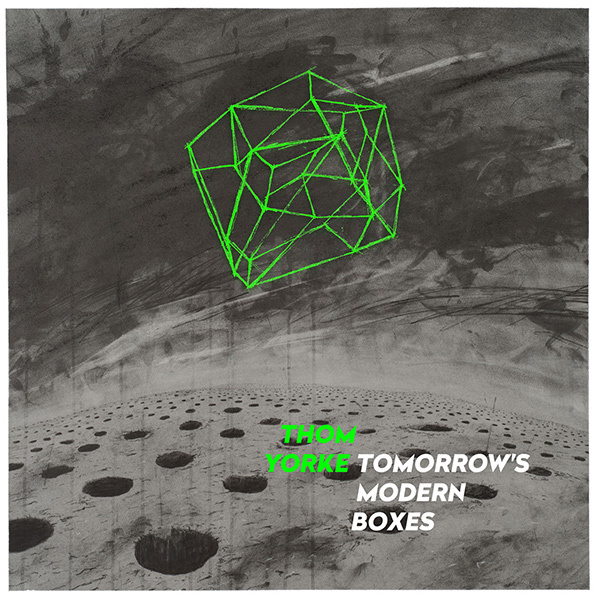 His new solo record Tomorrow's Modern Boxes came out Sept. 26, available for US$6 (or just under CDN$7) through a piece of new technology called a "paygate", supposedly making the torrent only accessible to the paying public. All you need is a torrent client to get the record. By the afternoon the torrent had been downloaded over 60,000 times. You unlock access to the torrent by paying for the Bundle with a credit card or PayPal on BitTorrent's site. The first track "Brain in a Bottle" is available for free, along with a video featuring Thom's face. It's a record of layered, bassy percussion and piano with Thom's falsetto floating above everything (so, this record probably won't surprise you except for the fact that it appeared out of nowhere). The eight-track Tomorrow's Modern Boxes is very much in the same vein (if less noisy) as his Atoms for Peace record AMOK. And like with AMOK, he's working with Radiohead producer Nigel Godrich. If you trust Thom Yorke's artistic sensibility (and you should), then you'll like this record. This experimental distribution method — the first of its kind — creates a clear pipeline from creator to users, using the technology they already have installed to download media. Instead of having a middle company controlling the pipeline and dictating royalty rates (like say, Spotify, who Thom Yorke is no fan of), the music is able to go right to the user. It also allows the user to know that the artist is actually getting the bulk of the pay. Matt Mason, BitTorrent's chief content officer told CNET that BitTorrent gets a 10% cut of their Bundles and the content creator pays for transaction fees.